The Virtual Keypad™ App gives you control of your security system on-the-go. 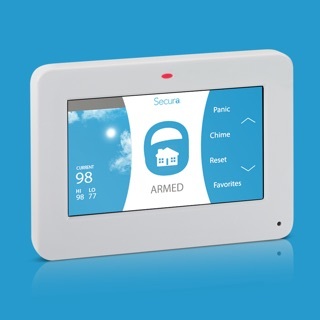 Connect to your home or business system to arm or disarm, control lights, locks, thermostats and more, easily with your app. Even view and record video from your security cameras. The app requires a compatible control panel and connected service. 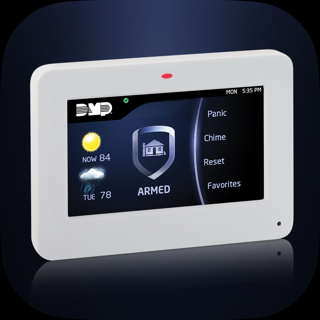 For more information about upgrading your alarm system, contact your DMP installing alarm company today. Reduced my rating as support does not respond to my issues despite reaching out to me through the App Store and asking me to email them directly, which I’ve done. This app usually works for a week or so of usage, then eventually permanently fails to connect. The first sign of trouble is when It decides to disable faceid, and re-enabling it does not get the feature back. Eventually the app will fail to login, and despite re-starting the app and rebooting the phone, it’ll never login again, just say connecting. The only solution I have found works is to delete the app and reinstall, which really is unacceptable for a product that cost significant money. We’re glad you like using the Virtual Keypad app but are sorry you’re experiencing an issue with Face ID. Reach out to us at help@dmp.com and we’ll be happy to look into this for you. Thank you. DMP Virtual Keypad is the most user friendly, intuitive, fast, and complete Security UI I have worked with. Get notification of your Fire Alarm activity, control your intrusion, access control, and view video form one app. Manage your users, user authority, app users, schedules, and imitate lockdown from your app or web browser. Absolutely amazing. © 2018 Digital Monitoring Products, Inc.